How many meetings have you attended this week? How many felt useful for YOU? How much time in the meeting was productive? Meetings in 2016 can run smoother and with a clear and defined decision-making process. Just apply the well-known ‘lean’ principles. 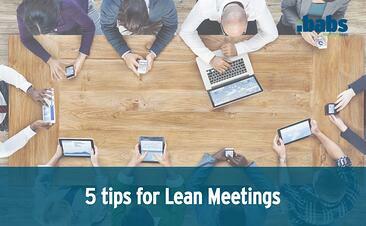 In this comprehensive document we will illustrate 5 tips to make sure that your next meeting is a lean one.